With so many options available to a high school graduate, it can be hard to decide what to do next. That’s where the Council for Economic Opportunities’ MOVERS Program comes into play. 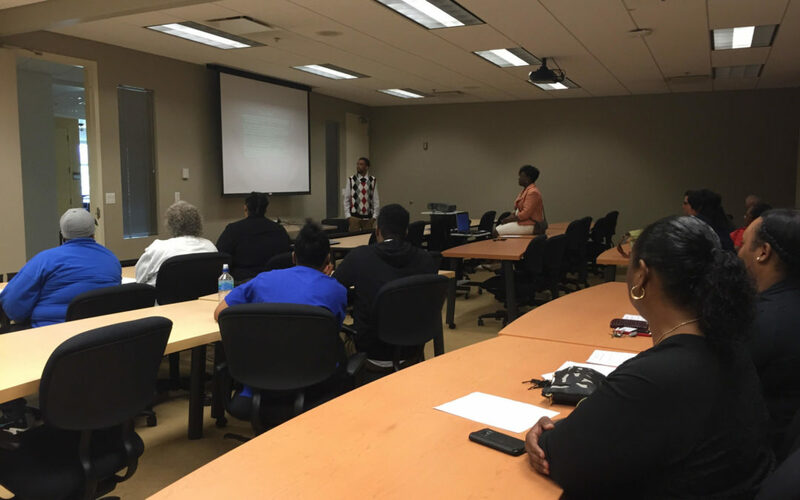 The MOVERS Program aims to help 18 to 24-year-olds in Cuyahoga County see available career opportunities and find a job. Just last week, four Clevelanders – De’Angelo Cook, Teauna O’Neal, Lanaya Simpson and Kevin Tucker – graduated from the MOVERS program. Each graduate has a different idea of what he or she wants to do, but all of them say they feel more focused after completing the course. The MOVERS Program introduces participants to area schools and universities, as well as various local employment opportunities. Upon completion, students acquire the IC3: Information Technology Certification, WorkKeys: National Career Readiness Certification and Job Readiness Certification in their preparation for a successful career path. In addition to classroom work, there are field trips and guest speakers set up throughout the course. The MOVERS Program was specifically created for unemployed and under-employed low-income residents of Cuyahoga County with a high school degree or a GED. It teaches these young adults the skills necessary to get a job. At the conclusion of the program, each graduate puts on a presentation about what he or she hopes to do after the program ends. It gives young adults the chance to learn new programs, brush up on interview skills, and get hands-on experiences in the workforce. The next MOVERS session begins with orientation on June 8th and runs from June 12th until July 21st. To enroll in the upcoming MOVERS Program, click here.